This image of this particular winery shot at this angle is probably in the photo collections Napa Valley trips by tourists from all over the world. People were taking this photo before Christine snapped this shot with her iPhone and then two more people took this photo after us. It’s been a busy past few weeks, the onslaught of harvest has really hit and I’ve been a little lax with the blog. Well, everything else to be exact. When you’re working 12 to 14 hours a day, six days a week you tend to get a little narrow minded. But Christine and I did have a pleasant Sunday afternoon recently when we went up to Calistoga for a little wine tasting at Chateau Montelena. The chateau is one of Napa’s oldest and best known wineries. I’m taking a wine class at the Napa college and my partner in a class project works in the tasting room at Montelena. He invited me up for a tasting and as neither Christine or I had been up there, it seemed like a great idea. The historic winery is quite an impressive old pile of bricks and it’s surrounded by gorgeous landscaping replete with a swan dotted pond. The estate is what most people think of, when they think of a Napa winery — a beautiful, historic winery nestled in a small valley filled with vineyards. Chateau Montelena is an embodiment of the Napa ideal and it’s well worth a visit to regain a sense of the Napa Valley “magic” so to speak. The winery also has the allure of a bit of Hollywood fame as its story of success in a pivotal French tasting in the ’70s is depicted in Bottleshock. Not a bad flick, and if you like wine worth watching. The wine at Montelena is as good as the winery is itself beautiful. The Cabernet is restrained yet still powerful. Definitely made in more of the classic Bordeaux style than in the big, bold oaky and “drink now” style that is the hallmark of so many other Napa wineries. To my surprise, one of the most enjoyable of the Montelena’s wines was the 2009 Riesling that had enticing fruit aromas backed by a crisp minerality and near-dry finish. 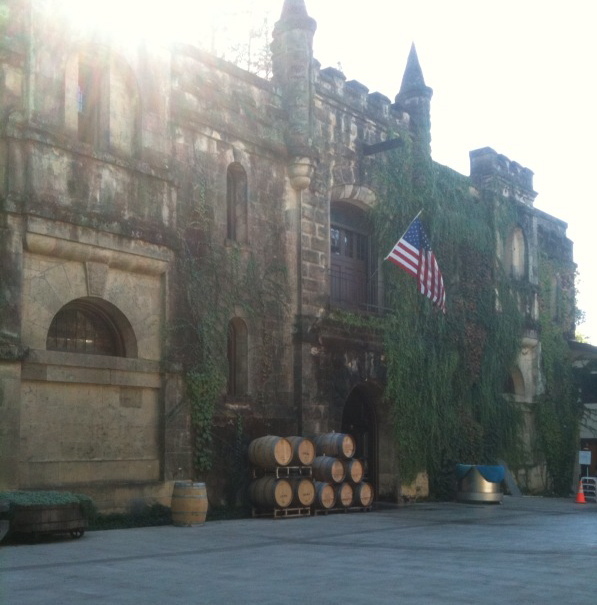 There are wineries in Napa that have an enduring appeal, and I think Montelena is one of these.